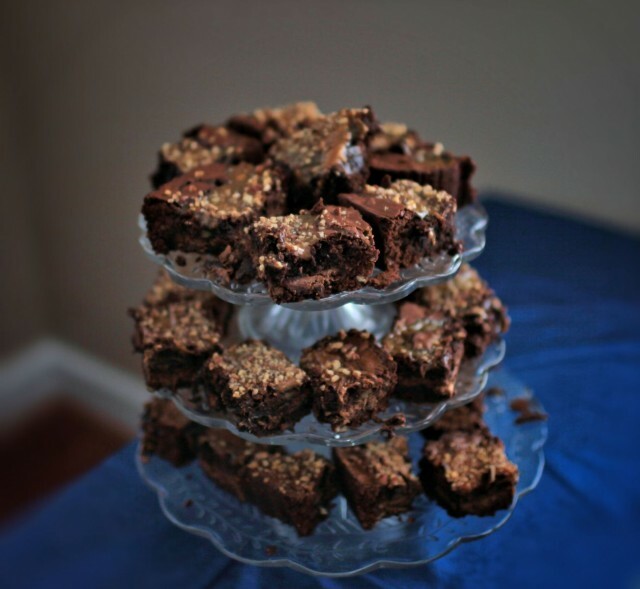 eggs and whatever other ingredients from box…..
Pour remaining mix over candy bars ( Make sure no candy bar is showing! When caramel is on … take a butter knife and go across the opposite direction back and forth … Do not go deep you only have to barley insert the knife ! I then sprinkle chopped pecans on the top. You will follow the direction from the box on the Temp. to bake them at …. But you will cook them longer than what it says!!!!!!! Usually about 1 hour. Use a tooth pick to judge if they are done… When you think they are almost done take them out of the oven because they will still cook a little after they are out…. When you start seeing the edges separate from the pan they are very close…..